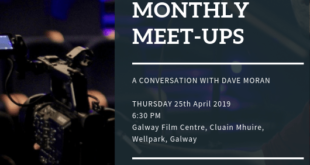 Galway Film Centre is delighted to welcome renowned Game Designer Brian Upton to Galway City. 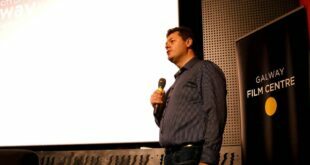 Brian Upton, will give a talk about how to pitch games. 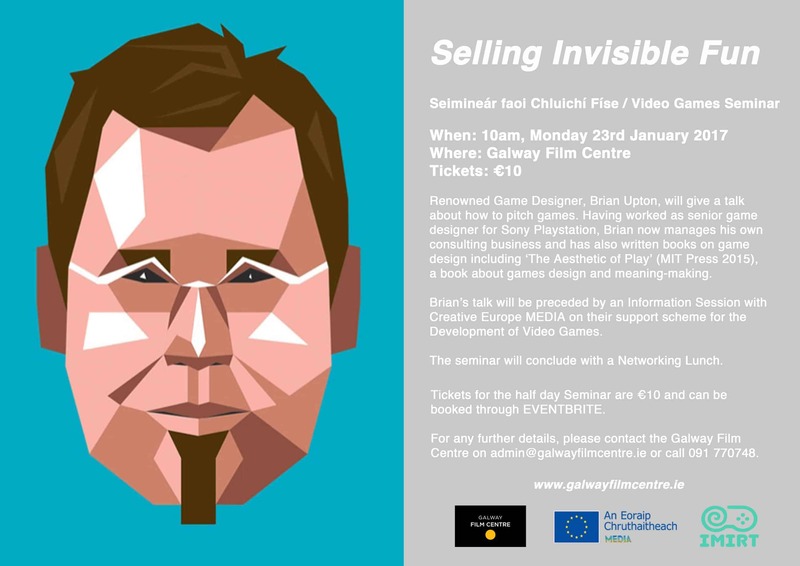 Having worked as senior game designer for Sony Playstation, Brian now manages his own consulting business and has also written books on game design including ‘The Aesthetic of Play’ (MIT Press 2015), a book about games design and meaning-making. Brian’s talk will be preceded by an Information Session with Creative Europe MEDIA on their support scheme for the Development of Video Games. 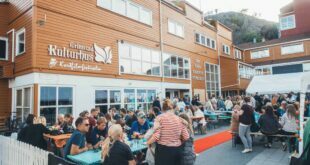 The seminar will conclude with a networking lunch. Creative Europe Desk MEDIA Office Galway Co-ordinator Eibhlín Ní Mhunghaile will give an overview of Creative Europe MEDIA’s support scheme for the Development of Video Games. The deadline for the current call is March 2nd 2017 and this seminar will give participants an opportunity to learn about the application criteria and process. Making games takes money, so if you’re an independent game developer, chances are you’ll eventually find yourself pitching your game to an investor— someone with the funding to turn your creative vision into a reality. Usually this pitch occurs early in the project, long before a single level has been built, or a single encounter has been scripted. So how do you sell a potential partner on your creative vision when there’s nothing for them to play? How do you sell them on your game when the fun is still invisible? This talk is about how to pitch games: How do you convey the feel of a gameplay experience that still exists only on paper? What do publishers look for in a game pitch? What information is important to lead with? How much detail should you go into? What common mistakes should you avoid? And how do you sell yourself as someone who’s able to deliver on what you’re promising? 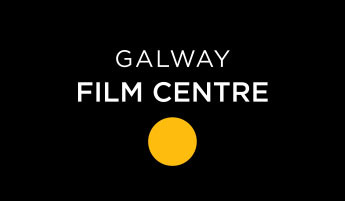 For any further details, please contact the Galway Film Centre on admin@galwayfilmcentre.ie or call 091 770748.